Let’s take a good look at Ideal Raw Organic Protein – an exclusively plant-based protein powder, that will include the good, the not so good, and those pesky areas in-between where you get to decide. 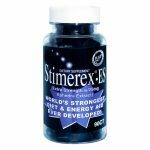 Healthy living and making an informed choice that is right for you can be a tough and challenging gig at times. It’s definitely a consumer minefield out there, with near endless options and opinions as to what is best for you, both health wise and wealth wise. That includes protein powders. On top of all that, making the right decision when it comes to nourishing your body and staying healthy simply never stops being important. Just exactly what price do you put on being healthier and living longer? With that in mind, let’s take a more intimate look at Ideal Raw. They are a relatively new arrival to the protein powder market, yet are nevertheless making themselves known for being a little bit different, for the better, from the rest of the crowd. From a purist’s perspective, you’re off to a winner with Ideal Raw right from the get-go. Reassuringly, there is nothing artificially manufactured to be found lurking within. As a plant-based protein shake, it’s completely vegan friendly and also absent of whey, soy and artificial sweeteners. So potential allergy triggers are never given the chance to do their mischief. If you’re a food allergy sufferer, that’s certainly something not to be sneezed at. There’s also none of the heaviness, bloating and gassiness that can be found with other protein powders. That’s because Ideal Raw is 100% natural and completely devoid of animal products or animal by-products (such as dairy.) The same cannot be said of so many main-stream rival protein powders to be found on the market. This is where Ideal Raw again noticeably stands out from the rest. Ideal Raw is also, unsurprisingly, 100% non-GMO. So no-one need be concerned about that particular point. 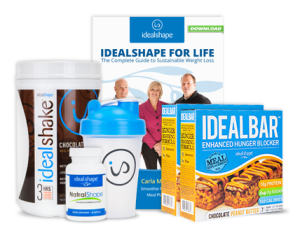 In addition, there’s no blood-sugar surge to deal with when using Ideal Raw. That’s because the sugars in a standard serving of Ideal Raw, 25 grams, amount to no more than 2 grams. That’s enough to give you a boost, but nowhere near enough to put your blood-sugar levels over the edge. Ideal Raw also allows for the busiest of lifestyles. Unfortunately, it’s not always that easy to devote the time that we really should to ensuring that we get the nutrients we need by way of sourcing, preparation and storage of the right food-stuffs. By using Ideal Raw, you give yourself a key nutrient and protein combination that is super easy to get on board and gets you up and running so that you can both take on and get through the day. Cast your eye over the container of an Ideal Raw nutritional label and you’ll find a wealth of proteins from sunflowers, rice, golden flax, pumpkin, chia, pea and coconut. On top of that line-up, say hello to an alliance of other goodies joining the party: broccoli, cranberries, pomegranate, wheat grass, beet powder and cocoa powder. Add in some Stevia for naturally inspired sweetness and the mix is complete. Again, important to stress, no animal products or animal by-products make the pick for Team Ideal Raw. 20 different organic ingredients, including 5 superfoods. When opting for Ideal Raw, you won’t find yourself caught up in a flavour drought either. You get to take your pick from chocolate, vanilla, mocha and chocolate-peanut butter flavours. That gives the buyer real scope for mixing Ideal Raw not just with water (but if that’s your thing, then fine) but with almond milk and / or blueberries, for example, to get the balance of sweetness and flavour just right for them. Their body and their taste-buds will absolutely thank you for the effort. 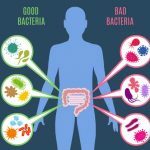 On the other hand, the majority consensus of Ideal Raw users is that it is not only nutritious, natural and healthy, but crucially, it also tastes great. The sweetness can be finely tuned if needs be. Tinkering with, for example, almond or coconut milk can get that balance right for your particular needs. Ideal Raw aficionados have no accounts of graininess and chalkiness to detail. If you are vegan, Ideal Raw should also appeal as it checks all the boxes as required, both health wise and ethics wise. Food allergy sufferers are also in a good place, as are those mindful to the absence of GMOs in what they consume. There are a few out there who think that you can have too much of a good thing by way of Ideal Raw being too sweet. Similarly, there have been a limited number of reports that there is a chalkiness to be found when drinking Ideal Raw, be that with either water or with milk. A grainy after-taste texture, or chalkiness, have also been reported, again in a minority of cases. If your focus is clean, natural protein intake, or you are vegan, or both apply, then Ideal Raw has to be considered. It’s fresh on the market compared to many of its competitors and it cuts an image of being in a league of its own. For a long time now, protein powders have had a reputation for being devoid of taste – a reputation that has never properly been shaken off. 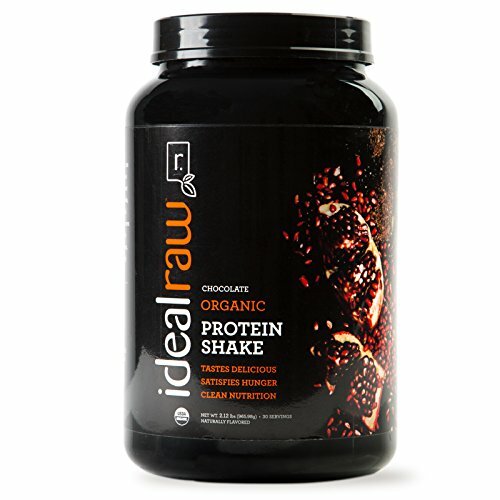 While limited improvements to flavour have gradually been made, Ideal Raw really breaks away from the pack in offering a natural, nutrient rich protein powder that has genuinely appetizing flavours and options. Likewise, why bloat on a protein powder when, well, you don’t have to? 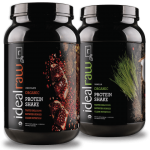 Ideal Raw offers the prospect of removing that unpleasant side effect often associated with other protein powders. Ideal Raw deserves real credit for where it is going. It’s still a new kid on the block by comparison to some of it’s more established rivals and yet the difference for the better is absolutely worth checking out if you haven’t already.